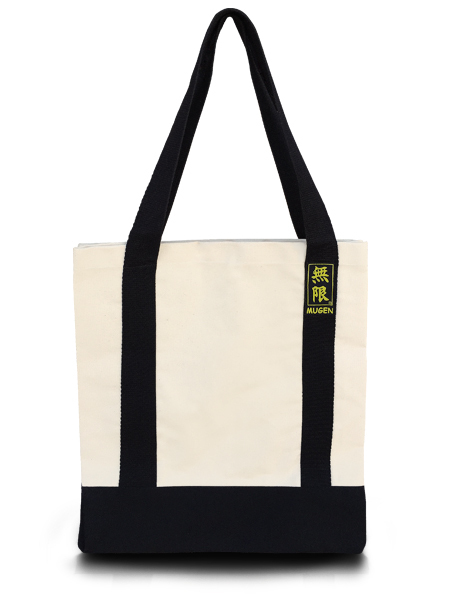 Mugen Canvas Tote Bag. 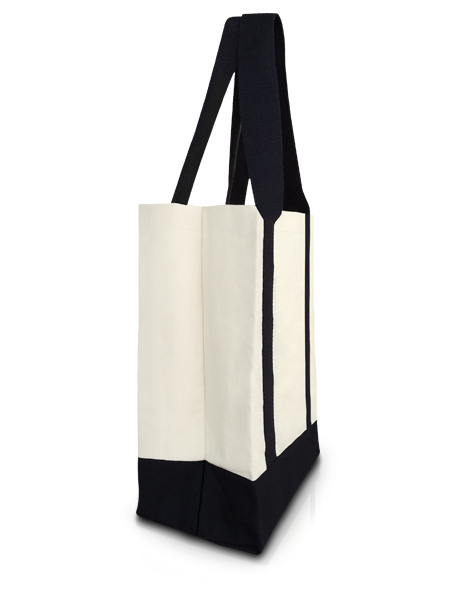 This stylish bag is made with non-bleached 100% cotton durable canvas. This bag is made from 12 oz. 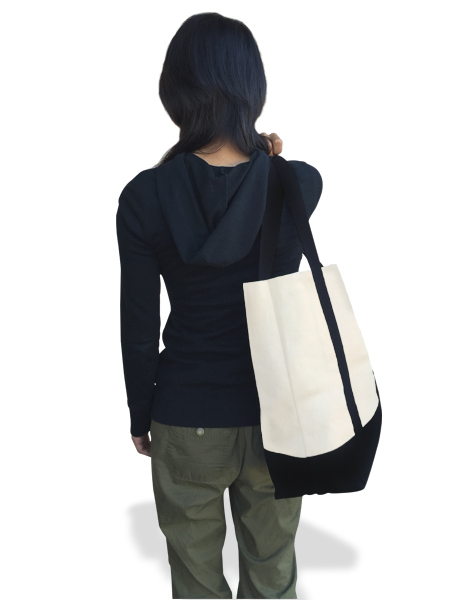 canvas material with a durable belt-like quality straps. 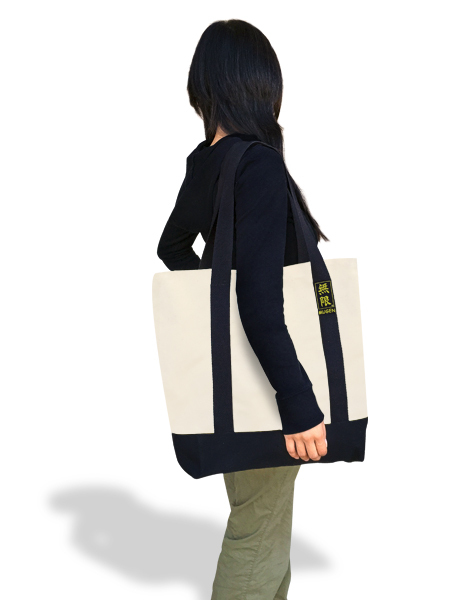 Take it with you to the dojo, gym, or on a regular stroll. Size of the bag is approx. 20 inches (50 cm) in length, 16 inches (40 cm) in height. 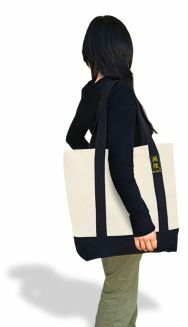 We offer embroidery option on the tote bags. 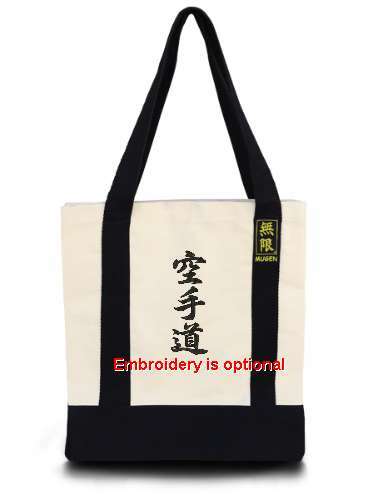 Embroider your name, school, or style in English, Japanese Kanji, or Katakana. Embroidery space is up to 16 cm x 5 cm (6.4 inch x 2 inch), and size of embroidery character size will be determined depending on the number of characters to embroider. For example, 空手 or 柔道 would be larger characters, about 5 cm x 5 cm (2" x 2") each. However, for embroidery with many characters, like 日本空手協会, size of each characters would be about 2.5 cm x 2.5 cm (1" x 1") each. For logo embroidery, if it is round, then we can embroider up to 16 cm (6.4 inch) diameter. If it is a square, then it would be up to 11 cm x 11 cm (4.4 inch x 4.4 inch). Logo embroidery price will vary depending on the size. Please send your artwork to "order@kiintl.com", and we will notify you the price.